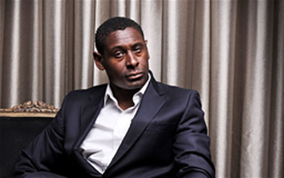 David Harewood MBE is set to be the next celebrity to receive his own star on the Broad Street Walk of Stars. David, will be presented with the special honour in recognition of his global contribution to film and television. He will be presented with his star at Cineworld, Broad Street at 5pm Thursday 25th July, where cinema fans will have the opportunity to meet Harewood and take part in a free private screening of the critically acclaimed Blood Diamond. The internationally recognised actor, is known more recently for his role playing David Estes, the Deputy Director of the CIA’s Counterterrorism Centre in the Showtime series Homeland. David is also known for his film roles in Blood Diamond and The Merchant of Venice. Birmingham born and raised Harewood attended school in the Small Heath area of Birmingham, England, where he attended St.Benedicts Junior School and Washwood Heath Comprehensive School. The Lord Mayor, Councillor Mike Leddy, will present his star on 25th July at 5pm, Cineworld, Broad Street.